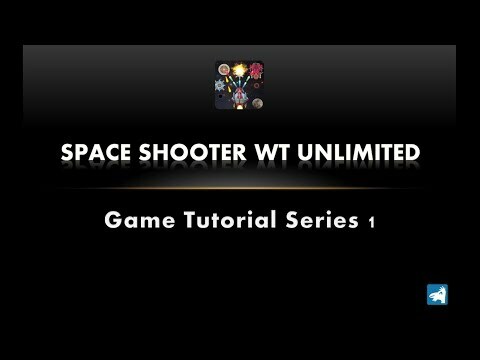 Space Shooter WT Unlimited is the unlimited version of the previously released free to play arcade game Space Shooter Wormhole Traveller. This version features unlimited game play levels, difficulty levels, and winning score increments as the player advances to higher levels of the game. The game does not end at a certain achievement, instead, new levels are opened and added to the game after each and every completed level, offering the player unlimited challenges. The game is an arcade type casual sci-fi space war game where a player controls a space ship and overcome obstacles to move into succeeding levels by shooting enemy alien ships using a variety of weapons that include missiles and lasers. The aliens use plasma weapons and are capable of creating mini black holes. The player shall constantly move his space ship to avoid collisions with the alien ships, plasma ejecta, and mini black holes. Colliding with alien ships and plasma ejecta reduces the player’s lives while colliding with a mini black hole ends the game at all levels and takes the player back to level 1. The game features 2D graphics in vivid color scheme, realistic scrolling space background images, great background music and game audio, voice alerts and advisory, as well as enhanced particle animation explosion, plasma weapon, and rocket exhaust effects. The player shall collect weapon tokens to activate and change weapons to gain better scores and shall collect wormhole tokens to gain lives and gain access to a wormhole to be able jump to the next level and eventually complete the game at Level 5. Tokens comes out for collection at certain number of lives below the initial number of player's lives. The first four levels require limited winning scores while the 5th and last level requires very high winning score. High scores are based on high scores accumulated from Level 1 to Level 5. The game ends when the player’s life is 0 at Level 5 or the player’s ship is sucked by a mini black hole. The player is assigned to travel to a military base near a neighboring star system to reinforce Earth’s multinational military space fleet. The fleet is on a mission to rescue high ranking officers abducted by aliens and held captive in one of the moons of an exoplanet orbiting the star Proxima B, in the Alpha Centauri star system. The player shall overcome obstacles, hostile alien forces he encounters while on his way to space between Neptune and the Kuiper Belt, near the edge of the local solar system to be able to access a wormhole situated between Pluto and Neptune (Level 5). The wormhole is the only gateway to bypass the local space-time continuum and shorten the travel time to the Alpha Centauri star system. The game ends upon completion of Level 5 until further development. In the main settings screen, the player may select his choice of space ship and the difficulty level he chooses to play. There are six difficulty levels to choose from; easy, moderate, normal, hard, very hard, and extreme difficulty levels. Reset buttons are also available to clear the scores and the open levels in case the player finished the game at a certain difficulty level and wish to play for a fresh start. Simply touch the screen of your android device at the bottom of the player's space ship, drag to move the ship around, and tap to fire weapons. Apart from location, performance and user achievement based analytics, the game/app does not collect any identifiable user information.